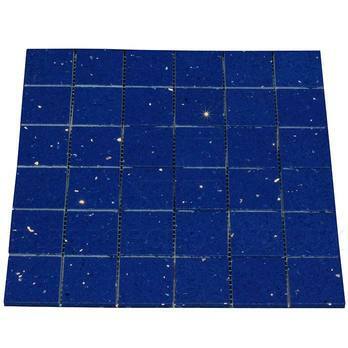 Add a decorative border or trendy backsplash to your home interior with these Sapphire Blue Quartz Mosaic Tiles. 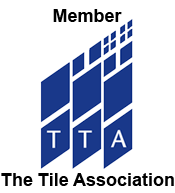 Each individual square is 48x48mm and these tiles are a great choice for either a wall or floor layout. 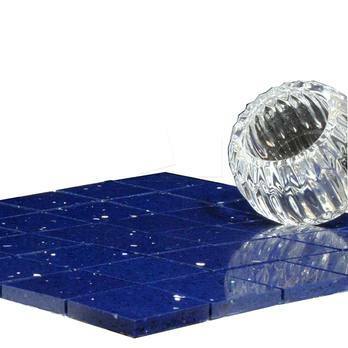 You can combine these mosaics with popular colours like white and black or match them with blue quartz for a consistent decor. 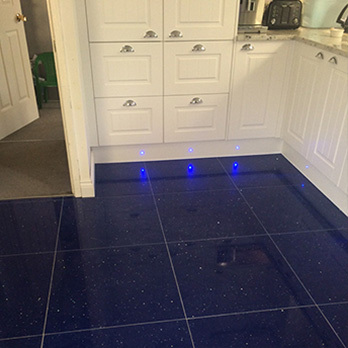 Adding a blue quartz border or backsplash to a design which features black and white colours can provide a classic style. 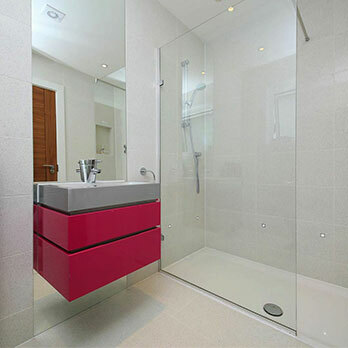 If you are trying to create a contemporary look then combining these popular colours is highly recommended, particularly in shower areas. 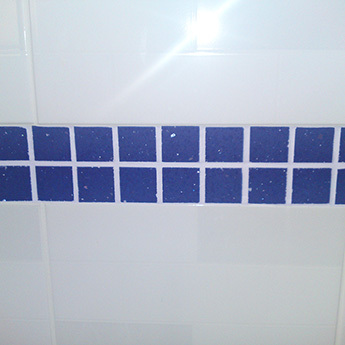 Blue Quartz Mosaic Tiles are well suited to contemporary bathroom and kitchen layouts. 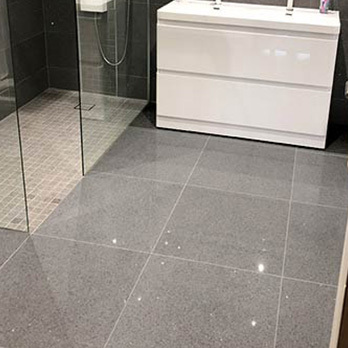 Not only do these tiles display a unique appearance but they also have a high level of practicality, making them suitable for demanding areas of residential and commercial properties. 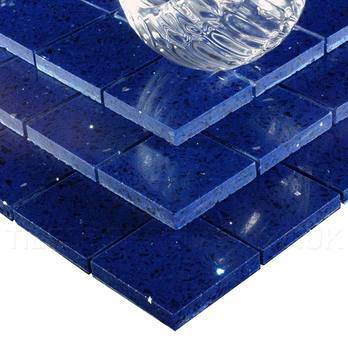 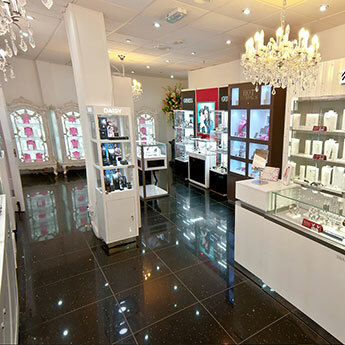 A 97% quartz content makes this tile a premium option for wall and floor designs. 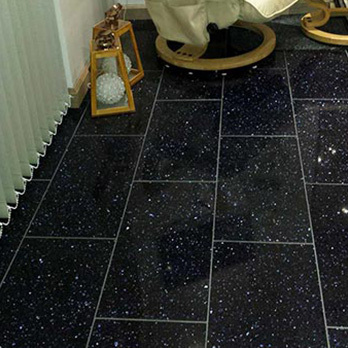 Quartz is not suitable for high levels of exposure to thermal conditions including underfloor heating and long periods in direct sunlight within sunrooms and conservatories, outdoor areas or near patio doors. 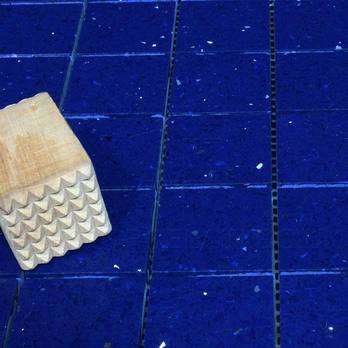 These tiles should not be used with latex based adhesives.